We are very lucky at Glenfall, as we have our own kitchen and chef, Lisa Marsh. Pupils may either bring sandwiches to school or take a school meal which is cooked on the premises. The cost of a school meal is, currently £2.30 per day. Dinner money is payable through Parent Pay ONLY. Please contact the school office to find out how to set up an account. Meals must be paid for in advance. The school operates on a no debt policy. 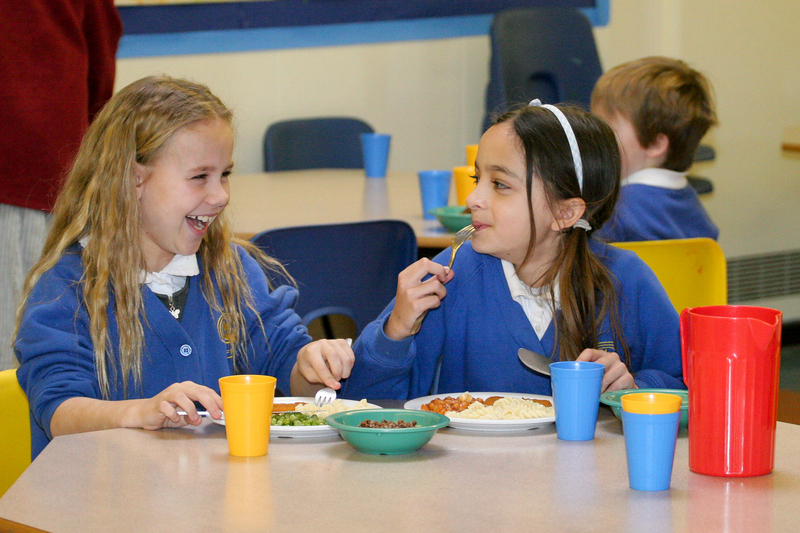 Supervision is provided in the dining hall and in the play area by the mid-day meal supervisors, assisted by the Head teacher and other members of staff. Parents who think they may be entitled to free meals may obtain an application form from the school but we are unable to supply meals without charge until the application has been dealt with at Shire Hall. Application for FREE MILK can also be obtained from the school office. As part of the school’s drive to encourage ‘healthy eating’ we recommend that only fruit vegetables or cereal bars are allowed for mid morning snacks. From 13th December 2014 schools must, by law, provide information regarding allergens in food that is sold by them. Please see the poster at the link below for further information.